Frank Jones is passionate about the profession of general practice, and instilling the same enthusiasm in the next generation of family doctors. It’s impossible to quantify his influence, having supervised “at least 30-plus” registrars during his three-decade career in regional Western Australia. “I like to leave them with the passion I have for general practice,” the immediate past president of RACGP said. “It’s such an honour and privilege to be a doctor, and more specifically as a GP because you have this clinical continuity of care for patients. Welsh-born Frank fellowed in the United Kingdom 35 years ago, before moving to Australia and initially working with the Royal Flying Doctor service. He has devoted most of his career to general practice in Mandurah, about an hour south of Perth. 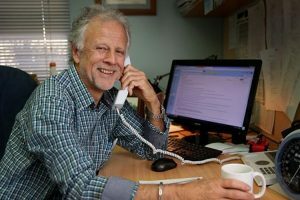 The WA faculty of RACGP provost says registrars help keep him “grounded” – and vice versa. Frank tells his registrars he wants them “to be good GPs”, but more so, he wants them “to be great GPs”. So how does he go about teaching them to be “good” but strive for “great”? “I try to teach them the three pillars of general practice: diagnosis and dealing with uncertainty; treatment in general practice (not just prescribing, but using allied health and getting a whole team base); and, the critical role of the opportunity for prevention in general practice. “At the centre of that triangle is the golden gift of general practice, which is our continuity of care. Frank advised supervisors to get to know their registrar early. Frank stressed the importance of the registrar observing the supervisor’s consults during their first days in the practice, and then the supervisor observing the registrar’s consults during the early weeks. “This will help you establish a baseline,” Frank said. Frank concedes supervision does bring its challenges, which can be managed. “You need to have dedicated time put aside for the formal teaching because if you don’t do that, time management becomes an issue. “You also need to have patience because each young doctor develops at their own pace and has their own individual learning needs. Frank, who in his spare time “still pulls on the shorts for golden oldies rugby”, encouraged any GP considering supervision to “just do it”, even early in their career. “Within two to three years of fellowship you should consider if you are interested in becoming a GP supervisor, because it is a fantastic journey,” he said. For Frank, the journey continues to reap rewards for the profession, community, and personally. His pride in their development indicates Frank’s enthusiasm for mentoring registrars is not likely to wane any time soon. Frank has recently been recognised by GPSA, WAGPET and RACGP for in excess of 15 years service as a GP Supervisor, nurturing the next generation(s) of family practitioners.